Android Oreo was unveiled and may be coming to a device near you soon. Super sweet! There are a number of overviews of what’s new to dig into. YouTube updated the Blur Faces tool with improved face recognition. You can now select specific faces, and YouTube will blur them throughout the video, even when they are moving or partially hidden. YouTube videos with “borderline” hate speech or violent extremism content may now have their features limited, with content behind a warning message, and no comments, likes, suggested videos or monetization. This is the implementation of policy that Google originally announced in June. If you believe your video has been incorrectly categorized, you can appeal. A New York judge ruled that Ethan and Hila Klein (the husband-and-wife team behind popular YouTube channel h3h3productions) use of clips from MattHossZone in a "reaction video" was fair use. Franklin Graves at Tubefilter has a good overview. While it's a win, YouTubers should take note that the case took almost a year and a half to litigate, was very expensive for the Kleins (who may not recover their legal fees and expenses), and the decision was limited both in scope and jurisdiction. It's definitely not a ruling that "all reaction videos are fair use". Google+ iOS app updated to version 6.15, then version 6.16. Now you can get the new Google+ Discover stream (yay!) and the new Community page layout (yay?). Google+ has not announced with this will be available in the Android app. Blogging platform Medium is expanding their Partner Program, with earnings tied to the number of “claps” an article gets. The updated Content Guidelines don’t allow monetized content to ask for claps, or build email lists, or ask for donations, among other “calls to action. And the prohibited content is fairly strict (but not much different than AdSense or YouTube Partner Program policies). Will this turn out to be a good alternative to ad-supported content? Or will Medium be overrun with “clap bait” articles? Only time will tell. Google Webmaster Central introduced new international Webmaster Blogs in Hindi, Russian, Thai, Turkish, and Vietnamese. If you are a webmaster, you should also check out the Webmaster Central Office Hour hangouts, which have been in English, Japanese, German, Hindi, Russian and Chinese. Check out the calendar for upcoming Office Hours and follow Google Webmasters on Google+ for announcements. 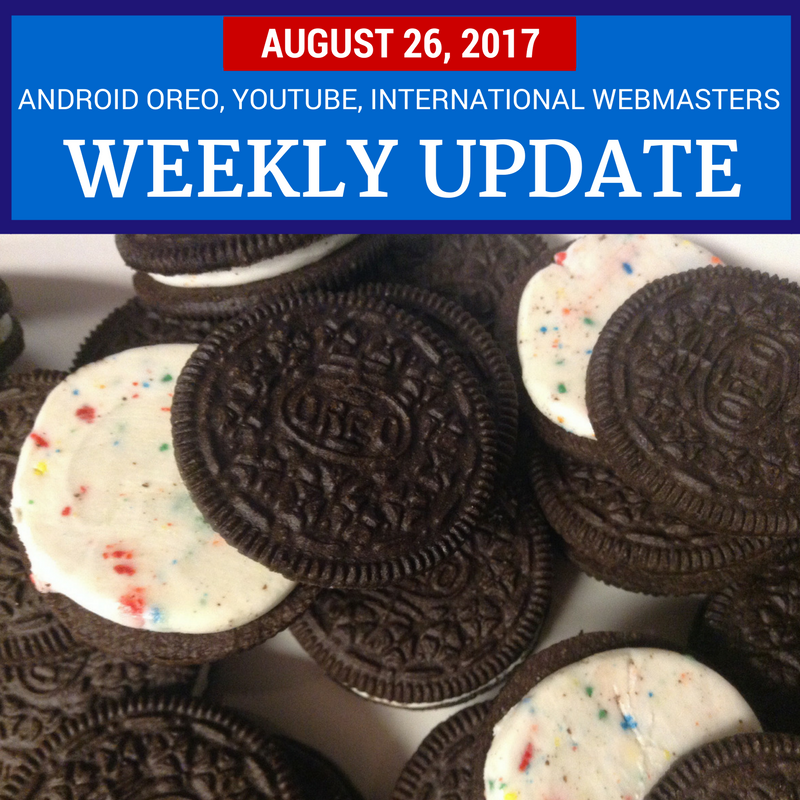 Plus there are more updates and tips for video creators, live streamers, business owners, webmasters, Chrome users and more. This is very informative article. Android and you tube both have made so much changes. Now I am more excited to use these apps and softwares.